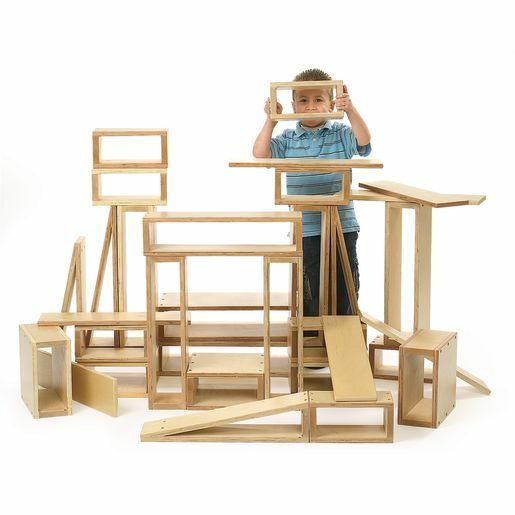 Put your building skills to work with our large scale see-through blocks. Our exclusive sets include ramps for even more play possibilities. Young builders will appreciate the smooth edges. Large size blocks are ideal for constructing your own block cities. Create tall buildings, bridges and more! Included ramps make more play opportunities, or practice counting and stacking the variety of shapes. Made of 3/4" thick quality birch plywood to last for years! Set of 15 includes 6 basic blocks in a variety of sizes.